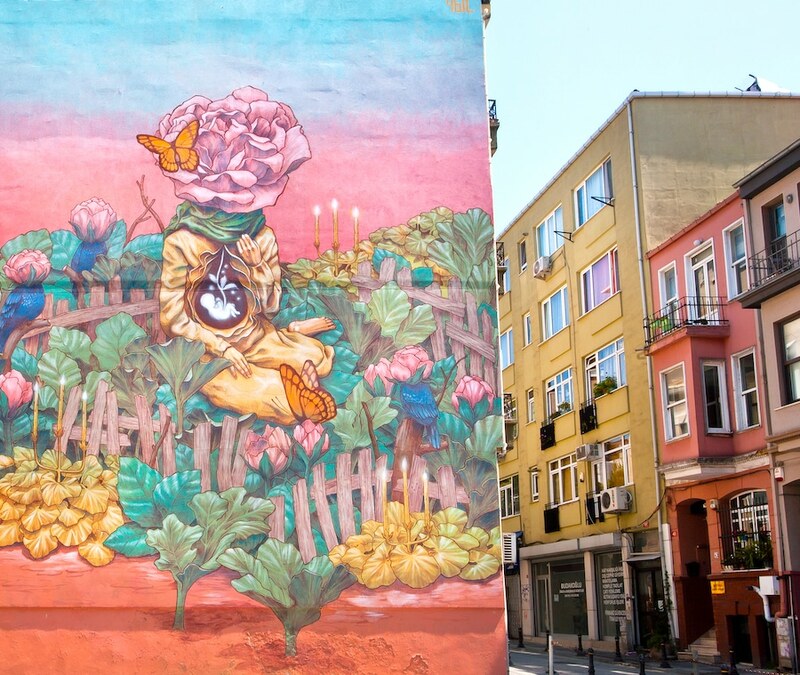 Where are the most beautiful terraces and rooftops in Istanbul? 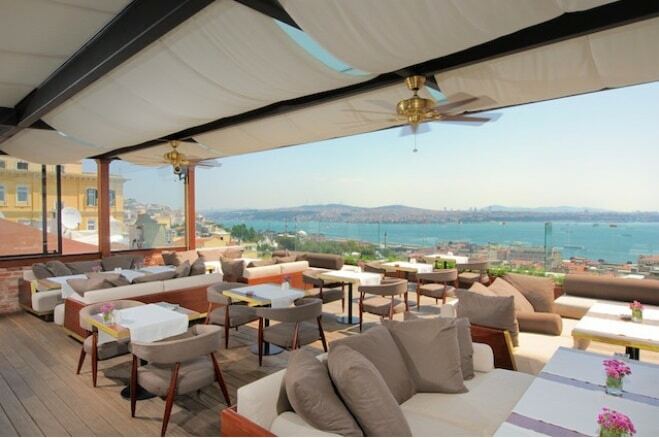 When the beautiful weather arrives you must visit the many places offering terraces with magnificent views of the city or terraces on the Bosphorus . 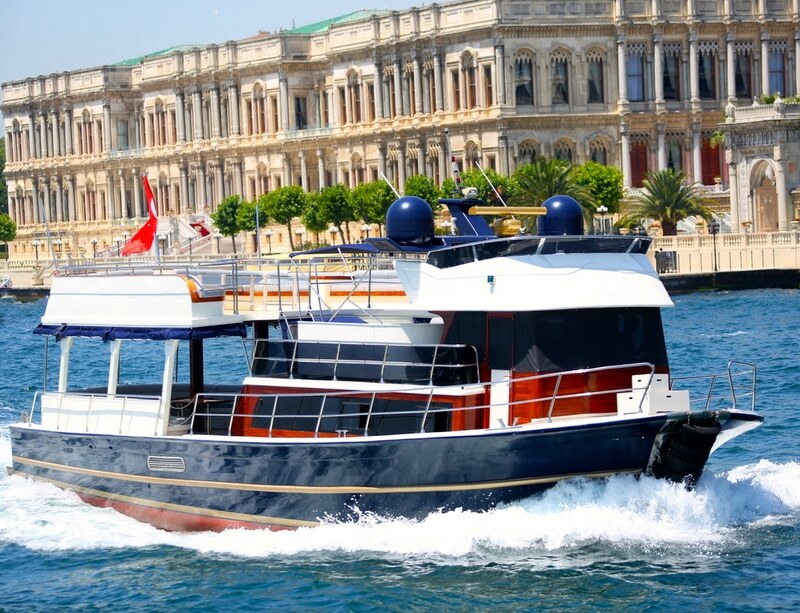 Having a drink and enjoying the sunset over the Bosphorus and a meal with a view of the entire city are “musts ” during your stay in Istanbul. Find below our selection of the most beautiful terraces in the city . A beautiful terrace on the top floor of the maramara Pera. One of the only true gourmet restaurants in Istanbul that was opened by the Turkish-Finnish chef Mehmet Gurs . 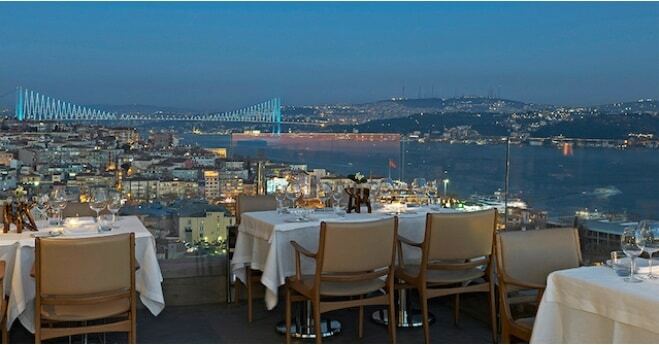 The restaurant has stunning views of the Golden Horn and the menu offers fusion Mediterranean dishes . We recommend that you make a reservation in advance before going to dinner as the restaurant is very popular. 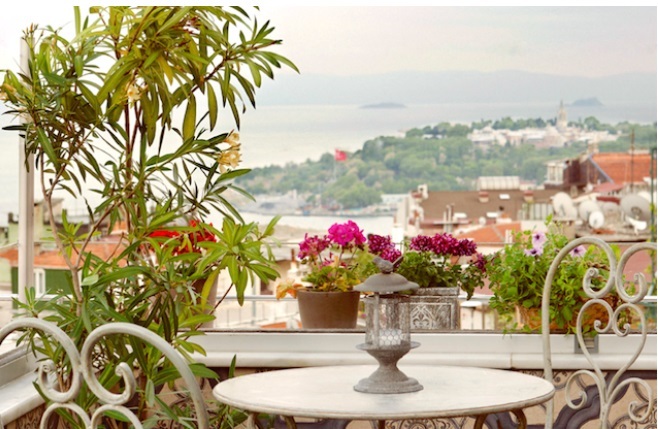 A beautiful terrace at the top of Georges Hotel Galata offering a splendid view of the entrance of the Bosphorus and of the opening of the Golden Horn. The owner of the hotel is French. This restaurant offers French cuisine. We advise you to go for a drink. 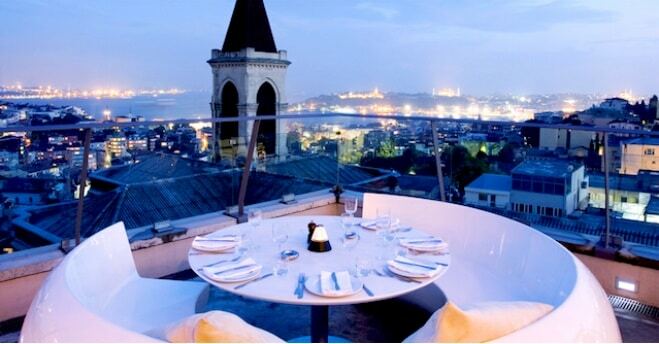 At the top of Besiktas Plaza, the terrace offers a view that goes from the Bosphorus Bridge to the Old Town. Mediterranean menu and sushi bar grill, the restaurant also has a very decent selection of wines and cigars. You can also go there to drink cocktails which are excellent. 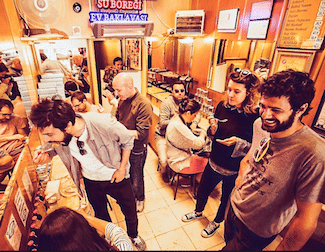 Friendly restaurant/bar in the neighborhood of Cihangir on the top floor of a building with a panoramic view of the mouth of the Bosphorus and the first bridge. Very nice for a drink in the late afternoon. One of the most beautiful views of Istanbul. Perfect for a drink in the late afternoon. We do not advise you to stay for dinner however, because there are better restaurants in the area and it is crowed only with tourists. One and the other side by side , we can not recommend one without recommending the other. ASSK Kahve is a terrace restaurant serving all types of food at any time: the Turkish breakfast burgers. The setting is nice and perfectly suited for brunch or lunch. Mia Mensa is a pretty good Italian restaurant. The pizzas and pastas are very good. The atmosphere is less relaxed than ASSK Kahve but more suitable for lunch or an aperitif in the early hours of a Summer evening. The setting is beautiful and we urge you to try out one or the other. 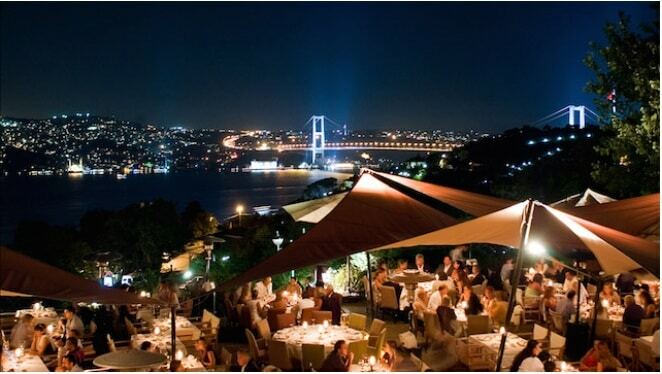 With its magnificent views of the Bosphorus, it is one of the best establishments in Istanbul for a business dinner . 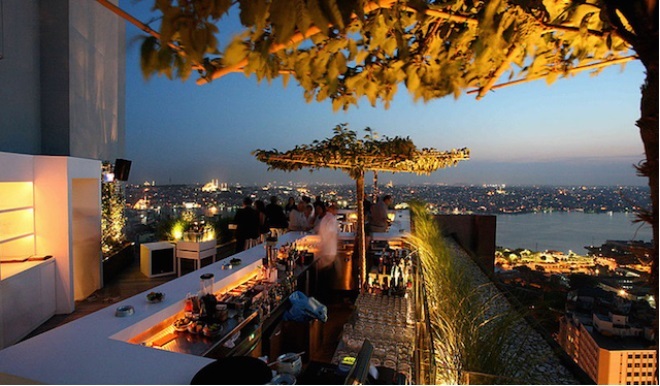 Sunset Istanbul is located on the hills of Ulus and has one of the most beautiful views of the Bosphorus . 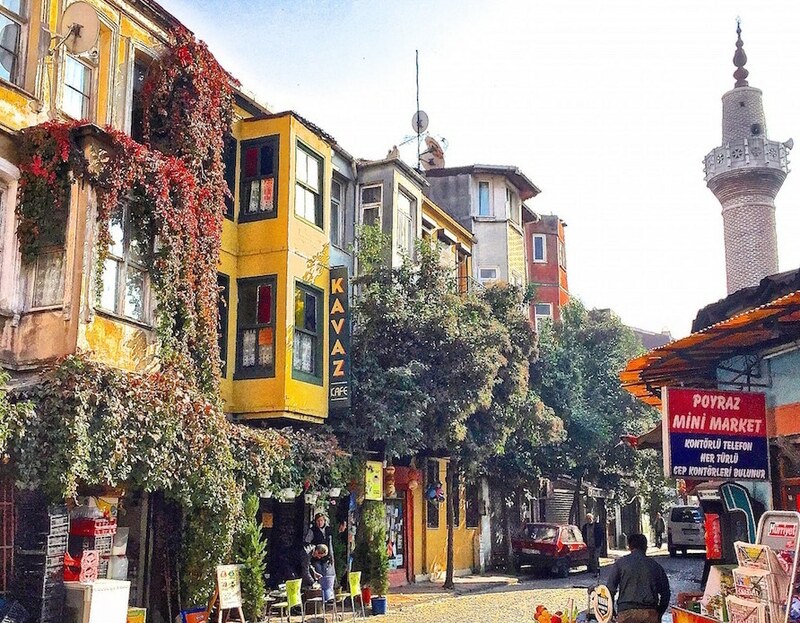 The food is excellent, it is a mix of international cuisine and Turkish specialties. It also has an excellent sushi bar run by Japanese chefs trained in their countries. Click on the map to see the addresses.